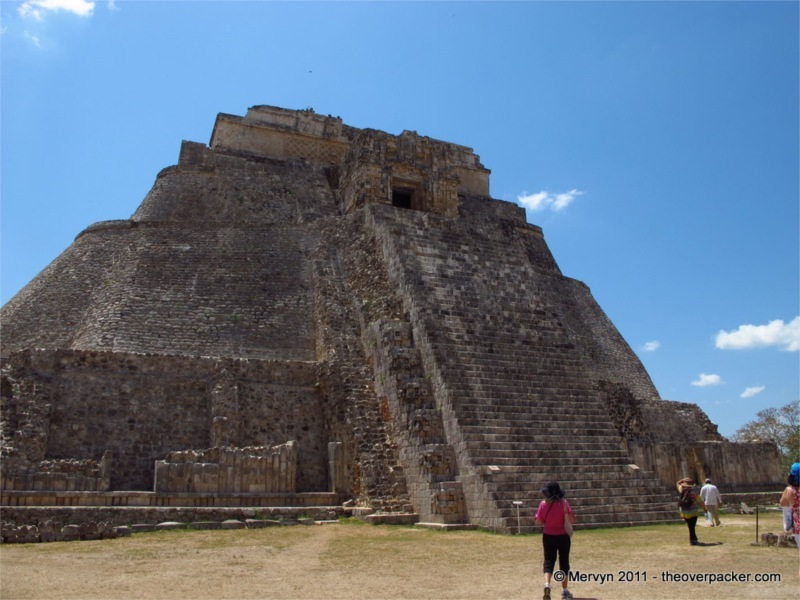 Day 229 – Why Visit the Ancient Mayan City of Uxmal? 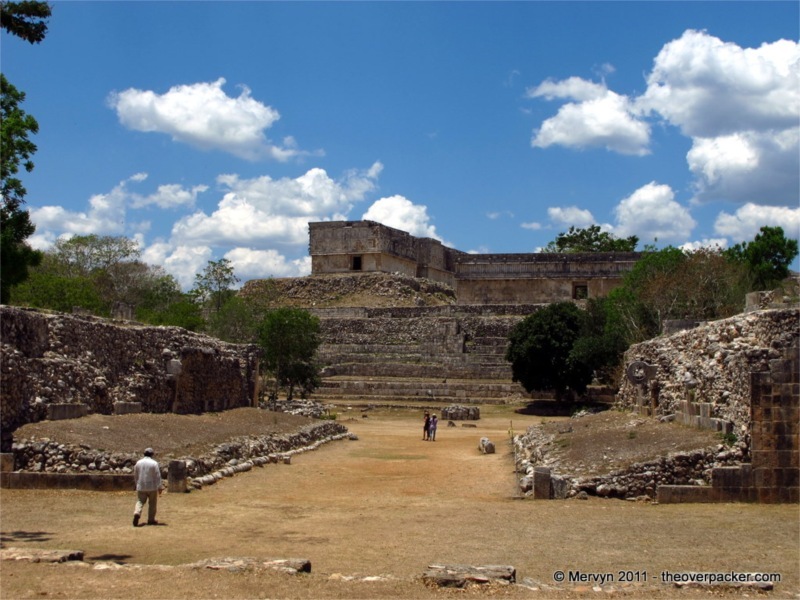 The Yucatan peninsula is strewn with ruins. So many, in fact, that it’s easy to get burned out. 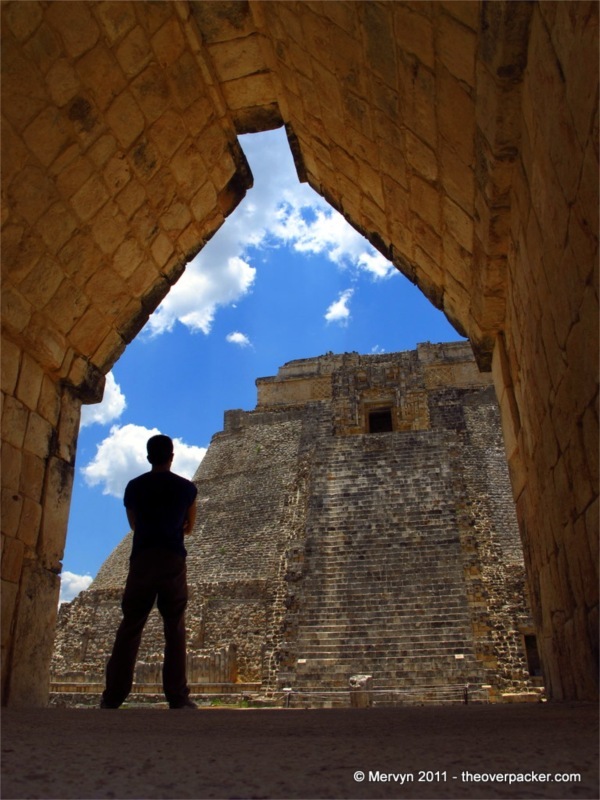 One magical monument blends into another. 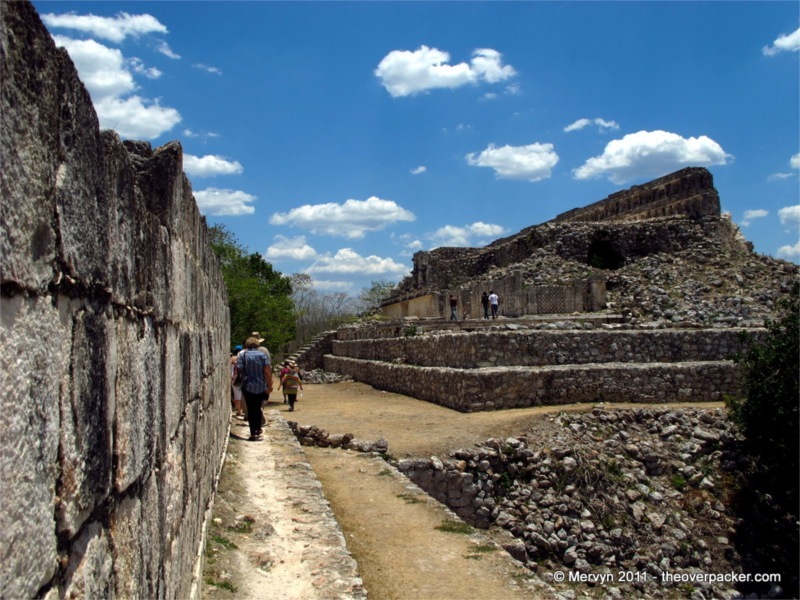 After your third site, it feels like you’ve seen that rectangular rock somewhere before. 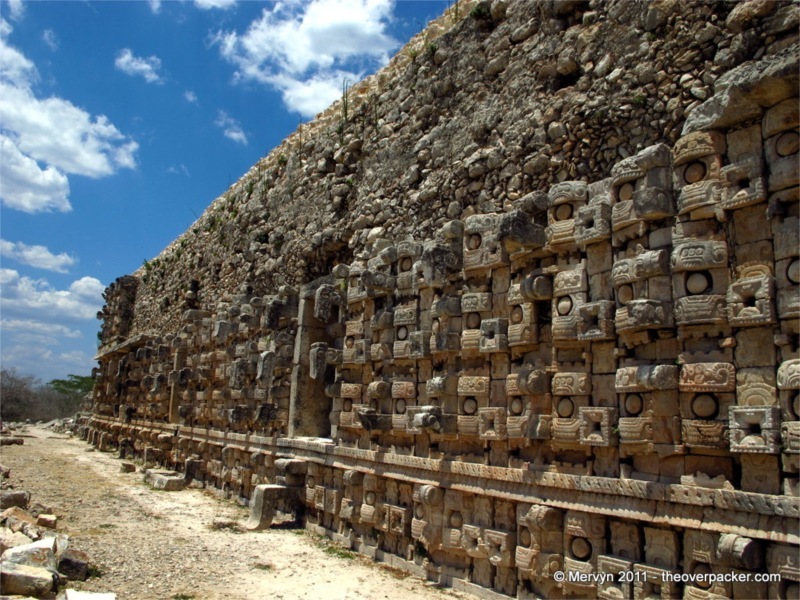 Was it in Chichen Itza, Teotihuacan, or Zkhmyprppppk? The question becomes, which ruins should I see? Allow me to help. 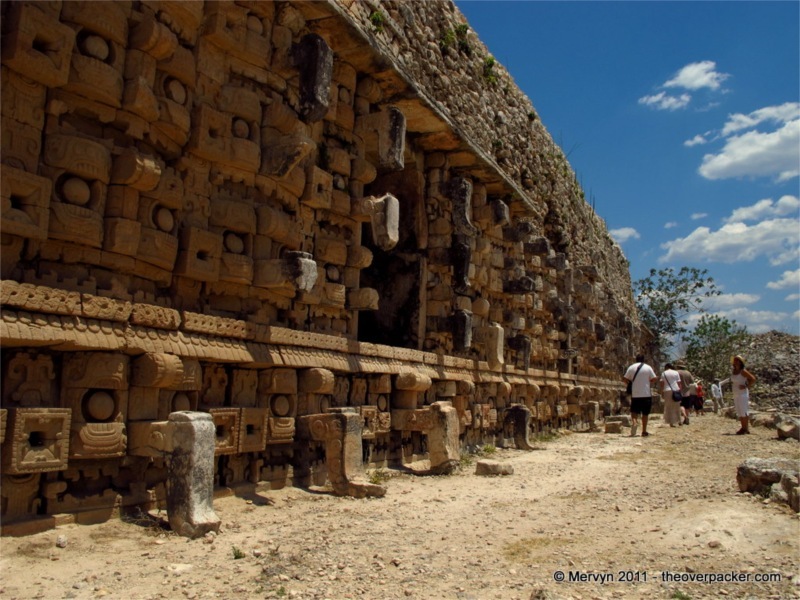 Here are a few reasons to see the ancient Mayan city of Uxmal, a set of ruins outside Merida. If these aren’t your bag, skip it and see something else. 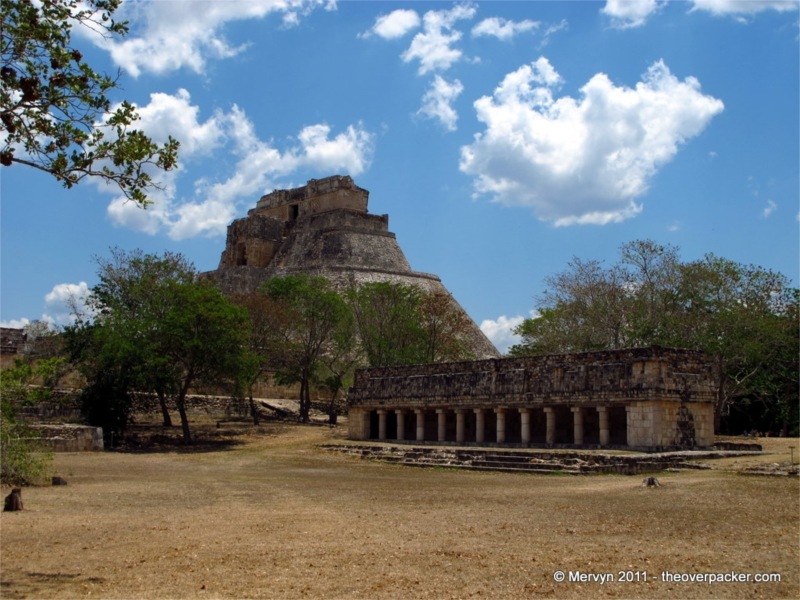 There’s plenty more where Uxmal came from. 1. 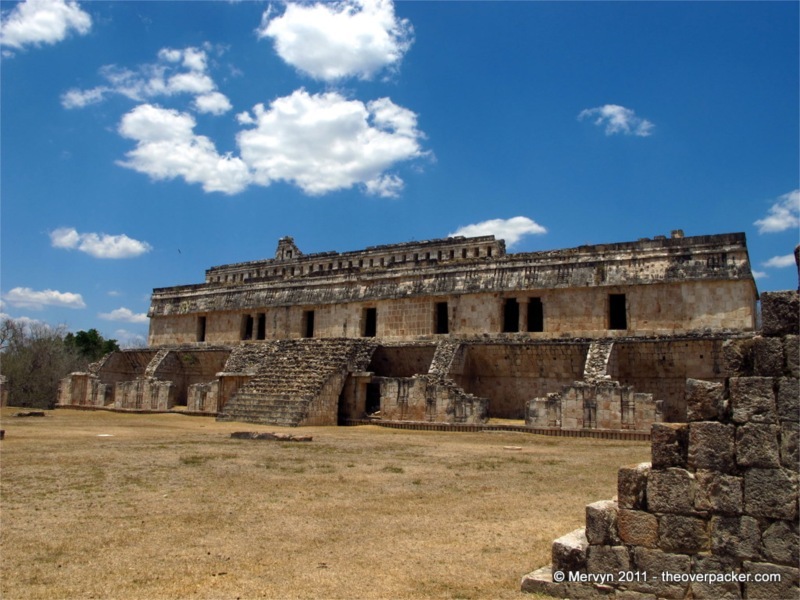 Uxmal (pronounced Oosh-mahl) is relatively small. 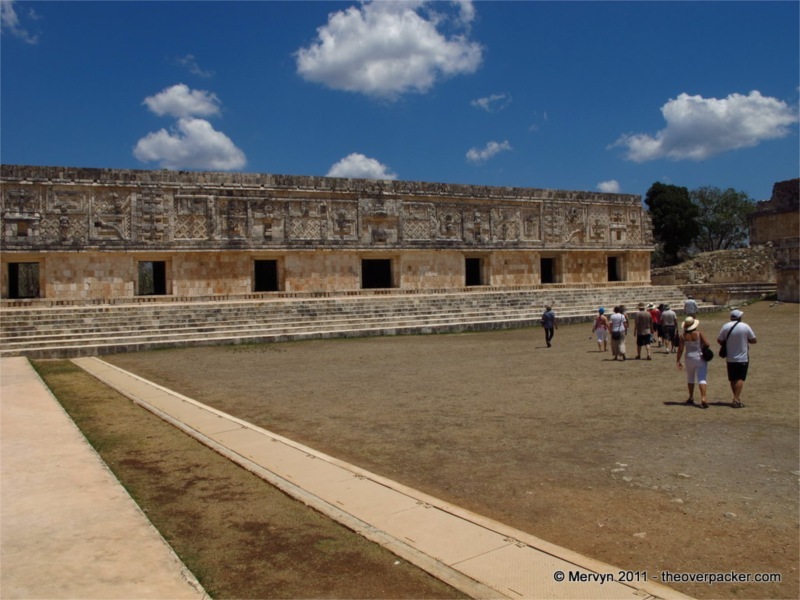 Uxmal is smaller than its more famous cousin Chichen Itza. Smaller means the site is less famous. Less famous means less crowded, which means you’re less likely to be harassed by trinket salesmen and loud-talking Americans. Most of all, this means that you’re more likely to have moments of peace and contemplation. As a bonus, there’s also less walking and, when you’re dealing with tropical heat, less walking is a very, very good thing. Less traffic means the site’s guardians haven’t felt the need to pen off many of the structures. 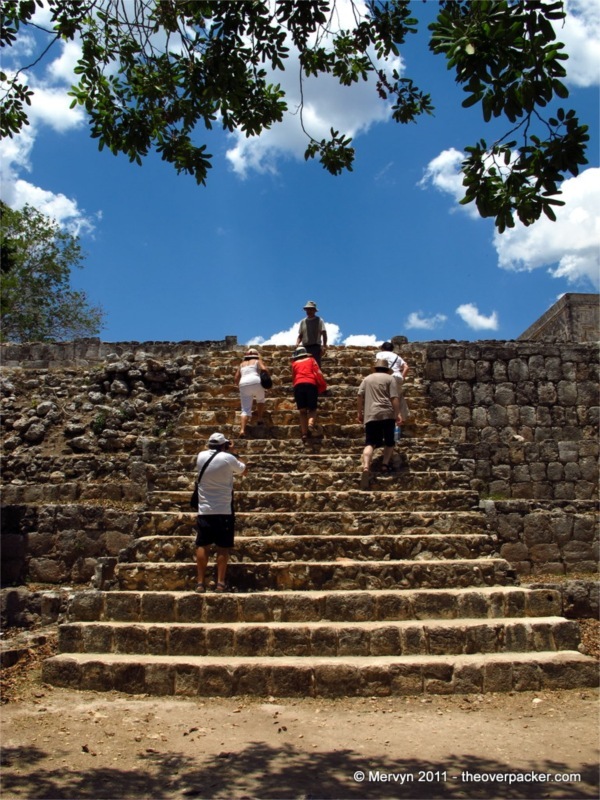 You can, for the most part, still climb the steps of the buildings or explore the chambers. 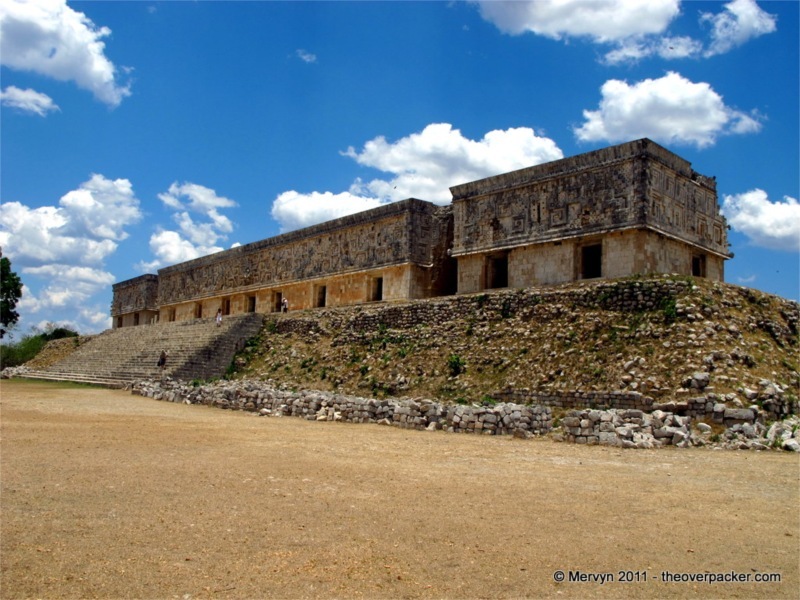 There are sites that are grander, better preserved, better restored, and/or more famous. 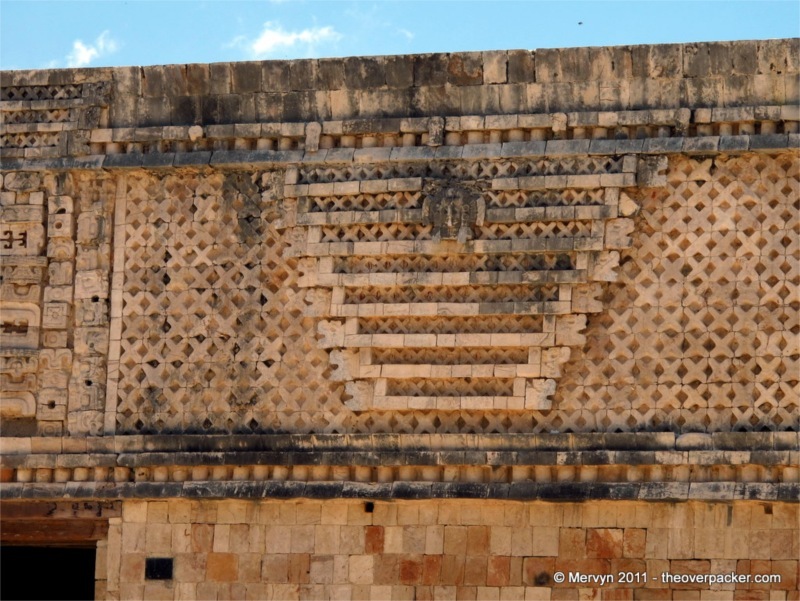 What makes Uxmal special is its details. 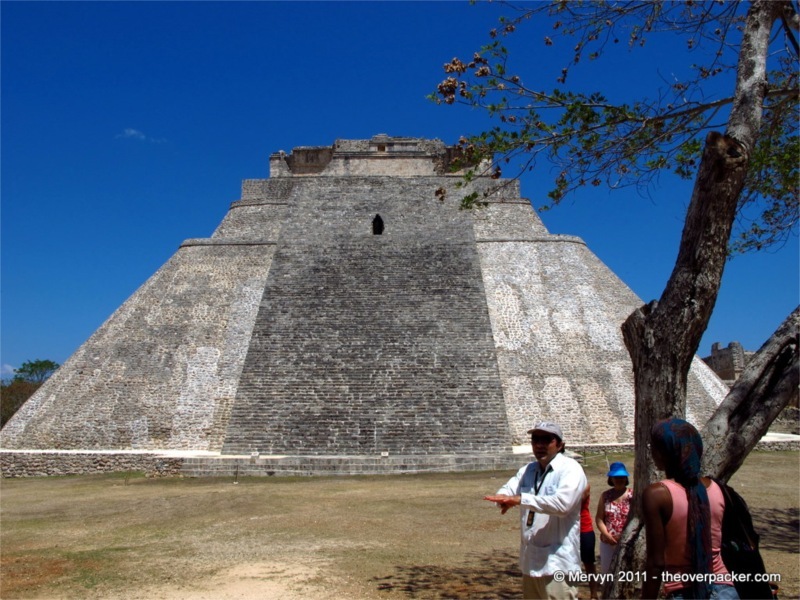 Sure, Uxmal has its big stuff like the Magician’s Pyramid, the Grand Pyramid, the Nunnery Quadrangle, and the Governor’s Palace. But take a step closer. Look up. 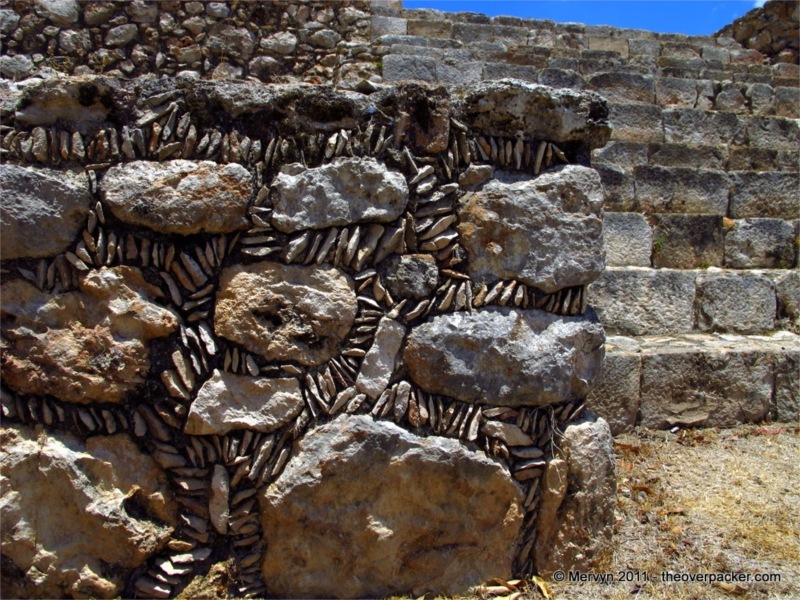 Above the eye-level walls, the upper walls are filled with intricate works. 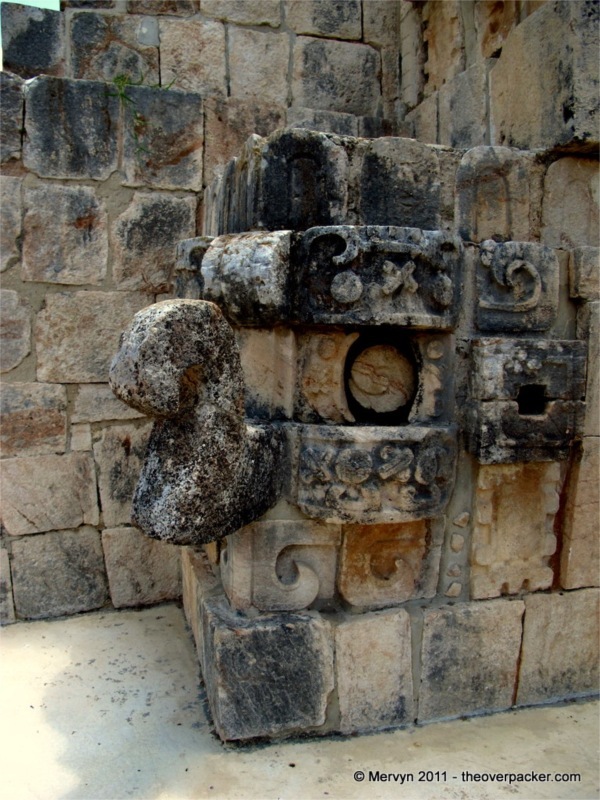 There are carvings of the elephant-nosed rain god, Chac. 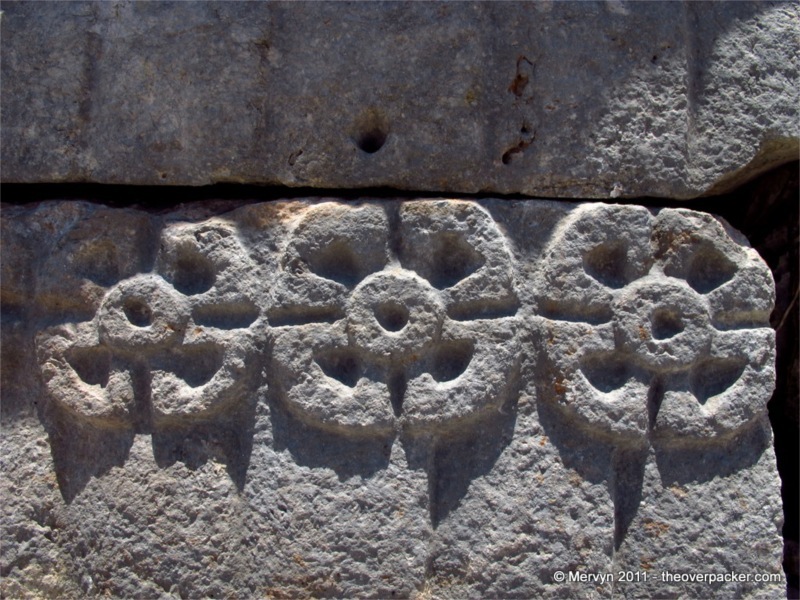 There are snakes with two heads and no tail. There are engineering details, as well. 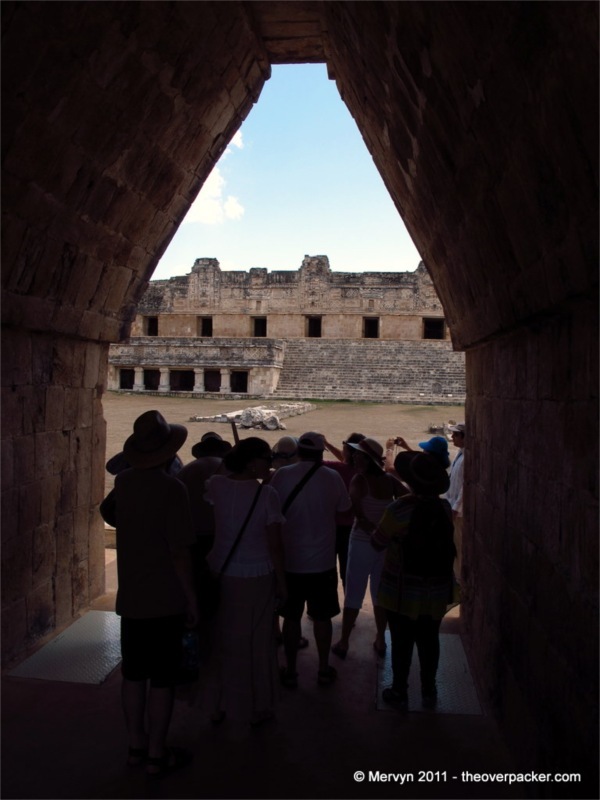 Those classic Mayan arches seem stylistically narrow and tall until you realize they’re built that way out of necessity—because the Mayans didn’t use keystones, each side of the arch had to be able to support itself. 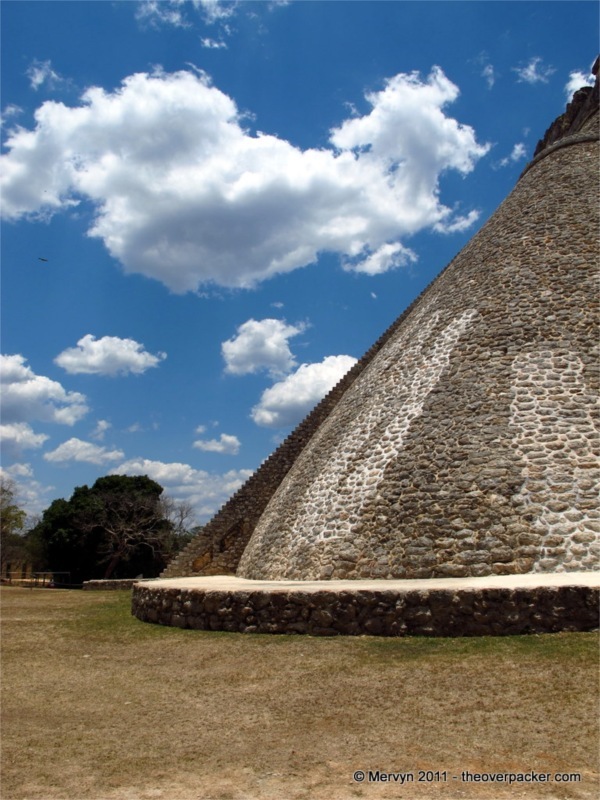 Without a keystone, an arch cannot bear weight. 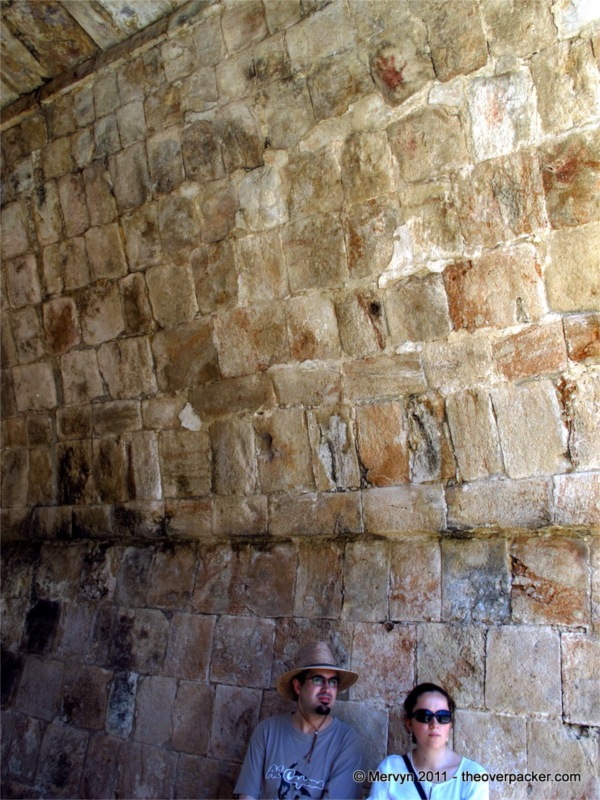 The Mayans inadvertently answered the question: How wide can you really make a curved wall? 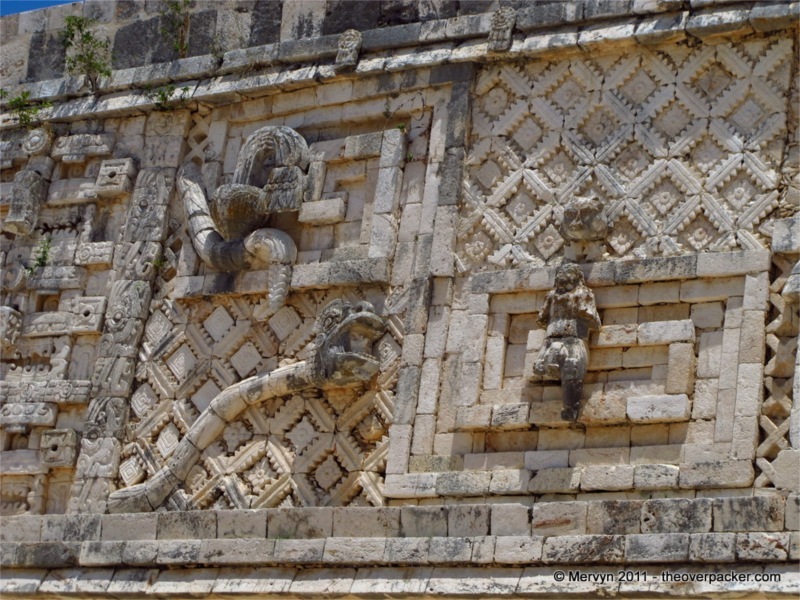 The details of Uxmal are exemplified in the immense Nunnery Quadrangle. 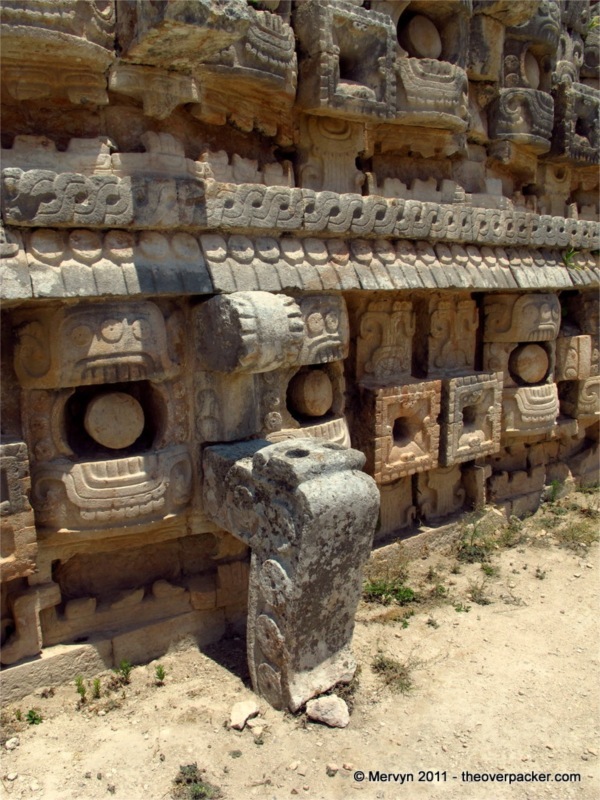 The bases of the immense buildings that line the open courtyard are plain, but high up the walls the carvings are rich, detailed, and well-preserved. 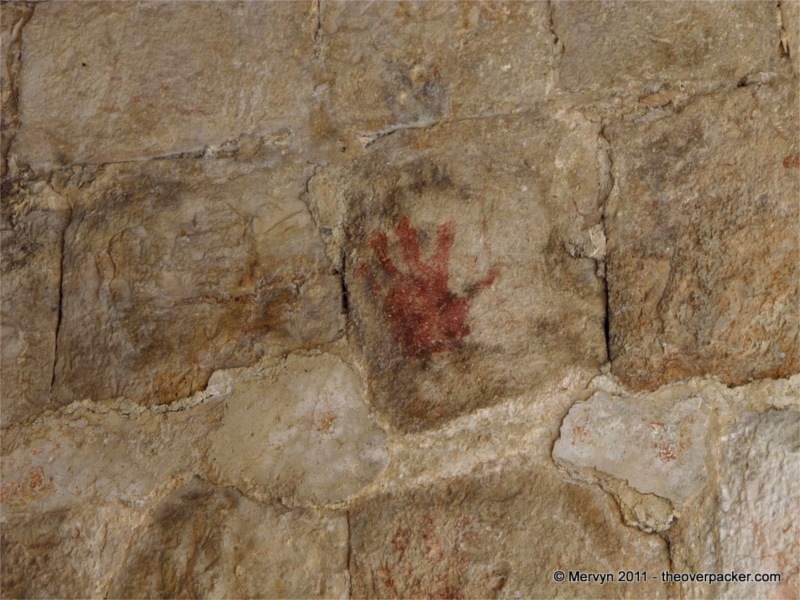 Our guide even pointed out red handprints on the entranceway arch—perhaps religious marks or perhaps pre-Hispanic Mayan graffiti. 3. It’s just down the road from Kabah, which is also pretty. 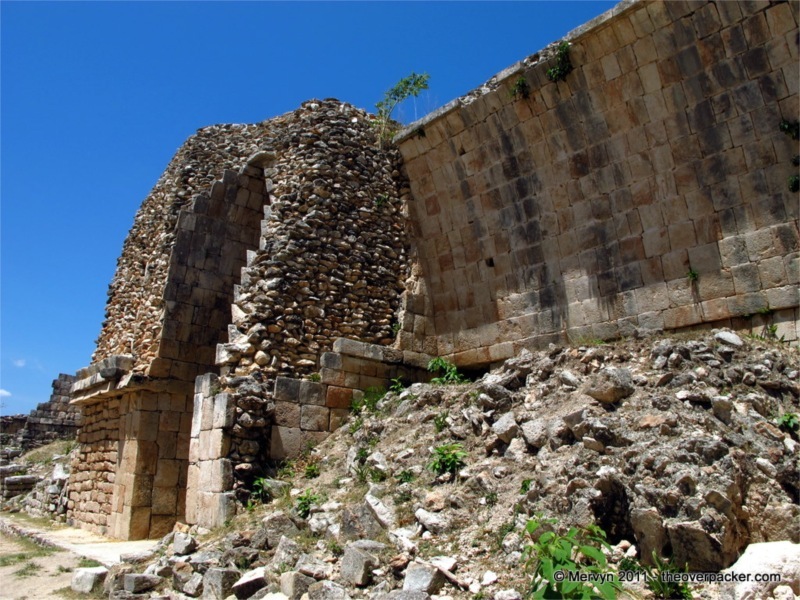 Not 10 minutes from Uxmal is a small site called Kabah. 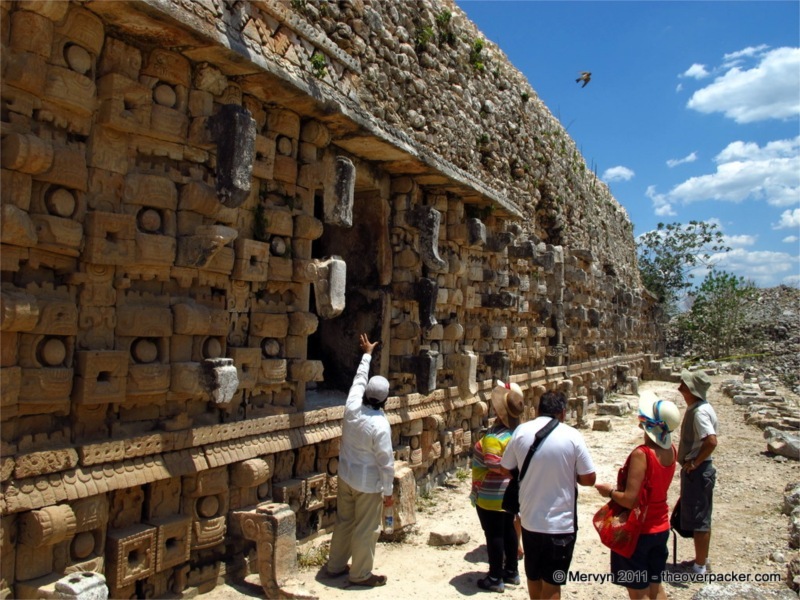 It takes less than 30 minutes to traverse, but you’re rewarded with a wall covered in a multitude of carvings of the trunk-nosed rain god as well as some well-preserved relief carvings. 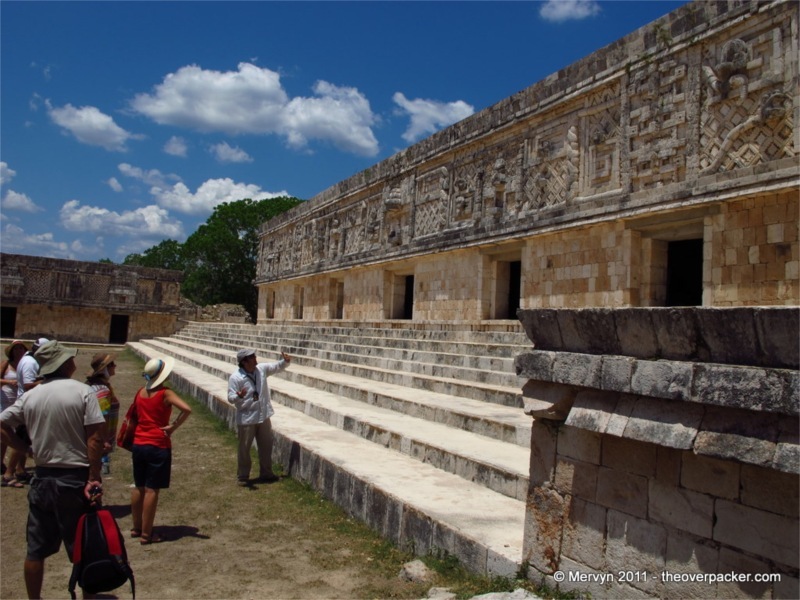 Uxmal, it turns out, was a pleasant surprise. 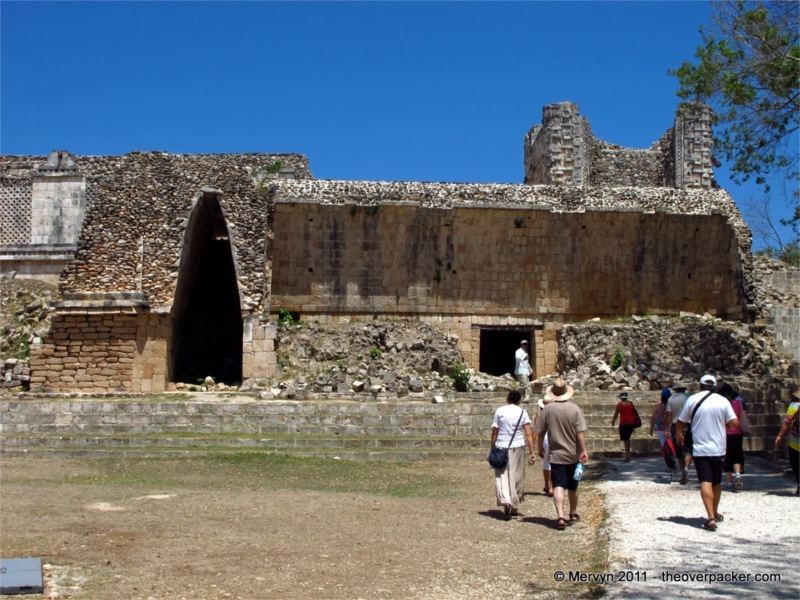 In a peninsula overrun with ancient structures, it’s definitely a highlight. 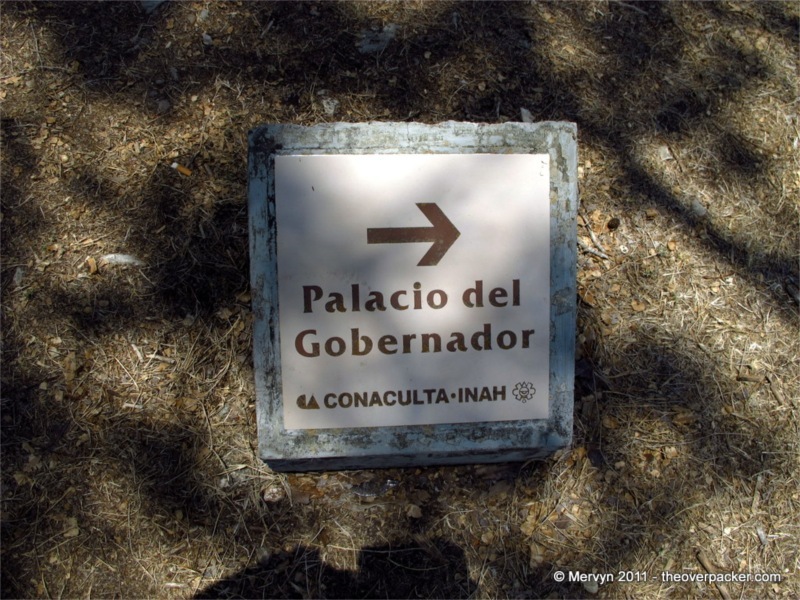 GALLERY: Click through to see bonus pictures of some of Merida’s graffiti.